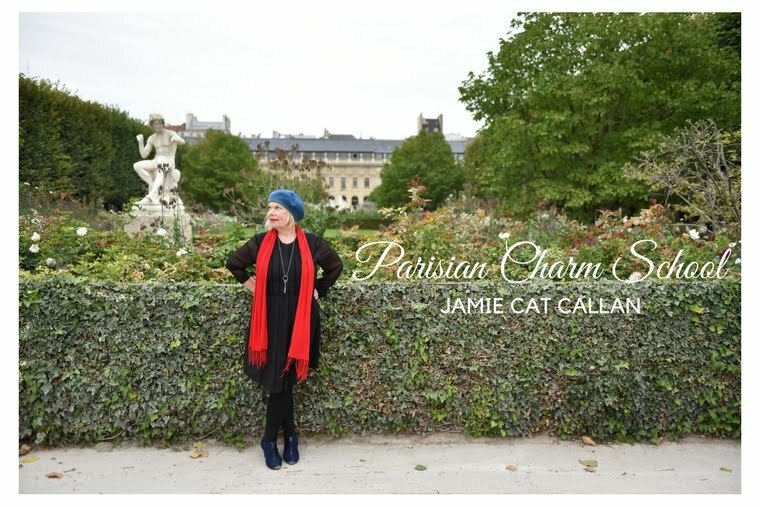 Jamie Cat Callan: Bonjour, Commonwealth Reading Series! literary community and just general coolness. forms to find the right fit? Honestly, I just like to write. my MFA from UCLA film school. and exercises I used in my classes. but they certainly adored each other. write French Women Don’t Sleep Alone. how to make a great coq au vin! My latest book, Bonjour, Happiness! and it’s just how the stars happen to align. award by submitting a work of fiction. come more naturally to you? for loss of innocence and adulthood. I write fast and let the characters lead me. At the end of the day, I put the work away. the history of lace corsets. Wink. Wink. ArtSake: How did Bonjour, Happiness! spend a month writing in Auvillar, France. welcoming artists from all over the world. of the restaurants were all closed. experience, not a thing you buy or own. more pleasurable because of it. and you wrote The Writers Toolbox. - writing from that intuitive, nonlinear place. where you’re going or where you’ll end up. unique and amazing in your own way. Be kind to your writing. It lives and breathes outside of you. when it comes to teaching writing. place where writers receive so much support. We’re lucky to have them! most impact on your career? downs of living a full life. What the Dog Saw. I love his writing! her latest book, Bonjour, Happiness! York Times Modern Love column. I am so excited for you Jamie! Your book arrived today and I am eager to get started...will blog about it when I am finished it. I just found your blog from Leslie...I've been reading your interview. Having lived in New Canaan, CT where they have a winter club, I think it's funny your take on it. I'll be looking for your book...any book signings out west? A great interview, Jamie. I could hear you speaking it - it brought back lovely memories of Auvillar. My last big St. Patrick's season harp performance is tomorrow night, and then I'm going to delve into Bonjour, Happiness and my own book again with gusto!